Wermuth House, Fort Wayne, Indiana. Designed by Eliel and Eero Saarinen, 1941. Cranbrook Archives. This distinctly modern house was designed by the architecture firm Saarinen, Swanson & Saarinen for a man whose introduction to Cranbrook happened in a somewhat old-fashioned way—the construction of Christ Church Cranbrook, George Booth’s ecclesiastical ode to the British Arts and Crafts Movement. In 1923, Albert Charles (A.C.) Wermuth was contracted by the architect Bertram Goodhue to oversee construction of the Trinity English Lutheran Church in Fort Wayne, Indiana. Goodhue was so impressed with his construction work that he contracted with Wermuth again for the upcoming Christ Church Cranbrook commission in 1924. Goodhue died before construction on the church could begin in 1925, but the firm Goodhue & Associates retained Wermuth as general contractor for the project. When Christ Church Cranbrook was completed in 1927, the Booths immediately snatched up A.C. Wermuth for more Cranbrook projects—the building of the Cranbrook School campus and an addition to Brookside. Thus began a decades-long professional relationship between Wermuth and Cranbrook, with Wermuth serving as general contractor for Kingswood, the Cranbrook Academy of Art, and the Cranbrook Institute of Science. Wermuth also did private work for the Booth children as they built their own homes in the area. Eliel and Eero Saarinen used Wermuth for their non-Cranbrook projects as well; he served as contractor on the First Christian Church in Columbus, Indiana, as well as on other Saarinen buildings. With professional connections like these, it seems only fitting that Wermuth turned to the Saarinens when it was time for him to build his own house in Fort Wayne. While the Wermuth House, which was completed in 1941, was built under the names of both Eliel and Eero, the design of the house speaks a bit more to the son than the father. 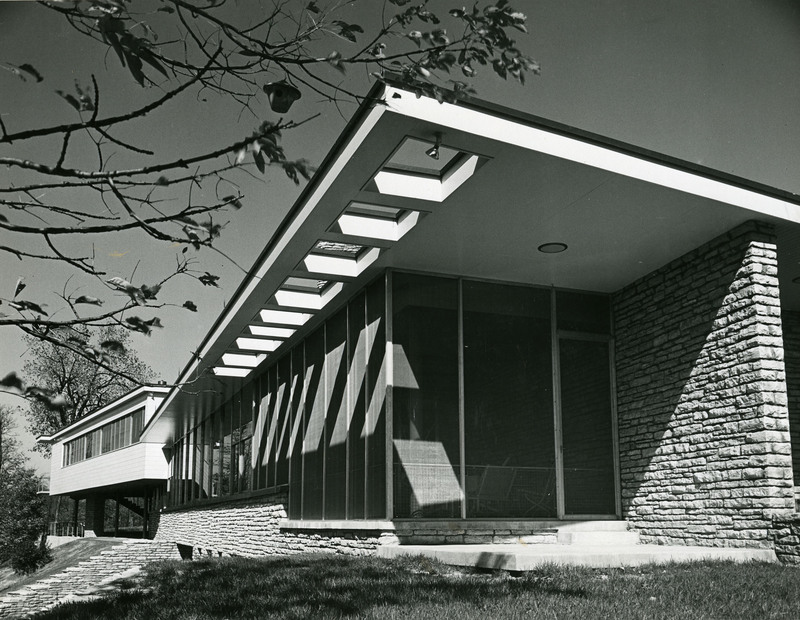 A Saarinen, Swanson, & Saarinen project, however, Wermuth ended up with a home for his family that expressed many of the same modernist ideals that he himself helped bring to life as the general contractor for Cranbrook.